Background: The craft beer market has grown considerably and, as a result, the average consumers are more knowledgeable about their options. 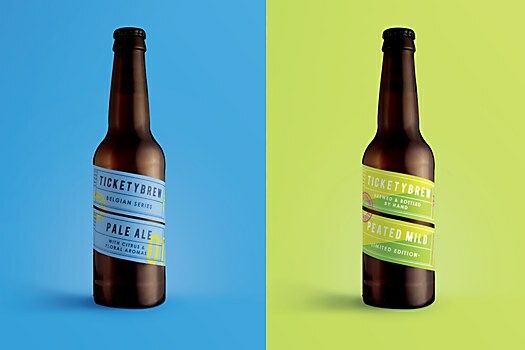 Having launched with a core range of three beers in 2013, TicketyBrew expanded to include more than 35 flavors and the brand needed structure to help segment the ranges. 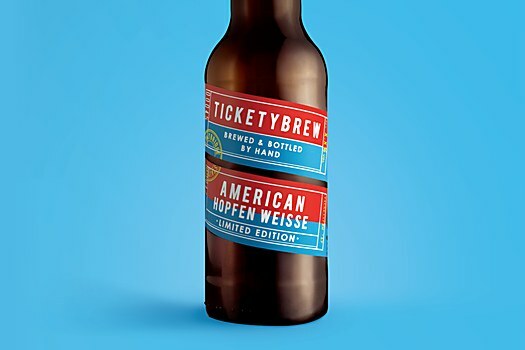 Splitting the portfolio into a Core Range of eleven beers and a Limited Editions range of approximately 26 more unusual flavors gave flexibility for the brand to grow. 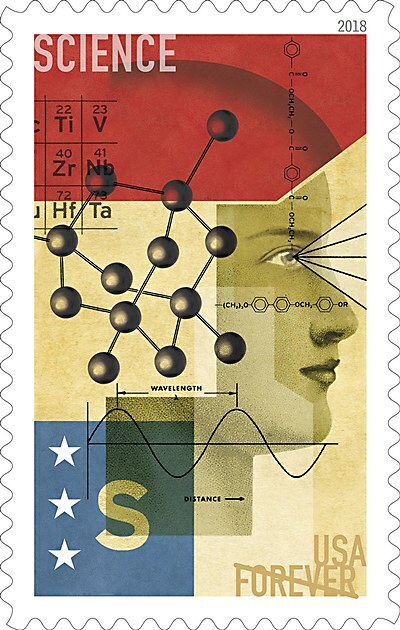 Reasoning: We aimed to find a solution that gave the core range a more simplified structure on the front of the pack to help identify the variety and flavor first. We also added complexity to the Limited Edition ranges, with the introduction of four patterns that could be used as a template to roll out additional varieties as they are produced. Each flavor within the Core Range now has a number to help distinguish between the products, with a stamp design to celebrate where the beer is made and bright colors to appeal to the latest trends. 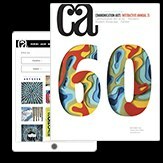 Challenges: Finding a system that was flexible enough to expand as the range did, across both core and limited edition. Favorite details: The introduction of the numbering system and the simplified messaging to the core range helped the consumer navigate the full range more easily. 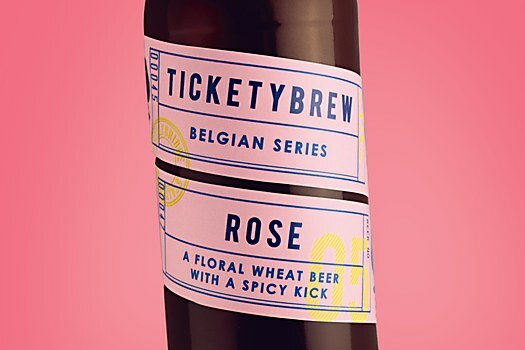 Visual influences: The following creative thought of “tickets” expanded into the Limited Edition range, using pattern backgrounds taken and referenced from old school bus and theater tickets. 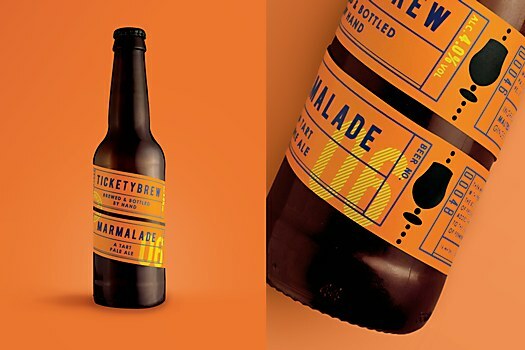 Specific demands: Having previously created a label that wrapped around the bottle, creating message hierarchy for the front of the pack needed extra consideration in lining up correctly across the spiral twist design. 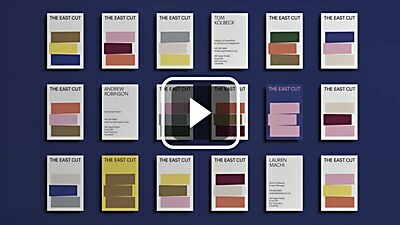 The layered identity for the new downtown San Francisco neighborhood East Cut captures the spirit of its vibrant community.